Treat yourself to one of our relaxing manicures at Rapunzel’s Salon and Spa, we offer a variety of manicure services to leave your skin feeling hydrated and your hands relaxed. Our Signature Classic Manicure shapes, buffs, and polishes nails to perfection. Completed by a relaxing hand massage. Treat yourself to an upgrade with our Spa Manicure. The ultimate manicure! Treat your hands with our Spa manicure which includes an exfoliating scrub, custom illuminating masque wrapped up with heated towels. Leaving your hands and nails feeling nourished and hydrated. 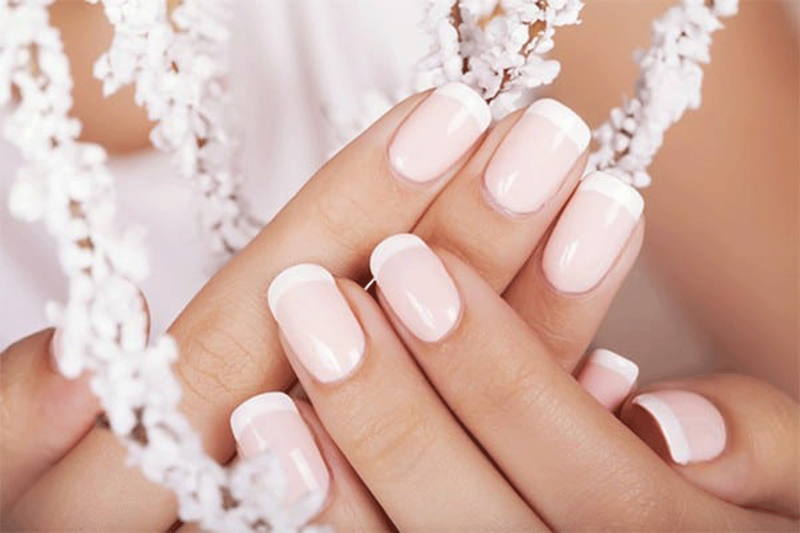 A manicure with Shellac Polish which lasts up to 14 days without losing shine breaking, chipping, or smudging. A manicure with warm paraffin added. Leaves hands silky smooth.